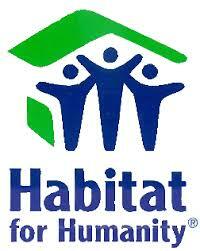 Habitat for Humanity is looking for new residents on a three bedroom house in DeWitt County. The house will be released to HFH within a week or two and will need some remodeling on the house. The house won't open probably for a few months because they are going to replace the furnace and AC unit, along with siding and flooring says Secretary for DeWitt County HFH Robert Cox. Families can go ahead and apply for the home said, Jessica Devore. The houses though depend on some requirements says, Cox. HFH will run a credit check, but you don't need a high credit score of 700 plus said, Cox. The three-bedroom house is located at 1835 E. Main Street in Clinton. The house won't be available for move in till February, but HFH is taking applications. You can reach HFH at 217-935-4663 or by going to their office at 401 E. Washington Street in Clinton.